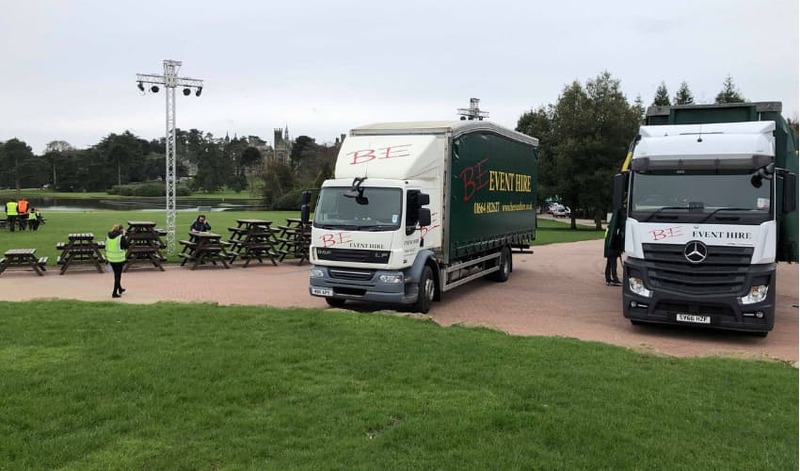 A fabulous event to kick off the season at Alton Towers with several HGV lorry loads of picnic benches. 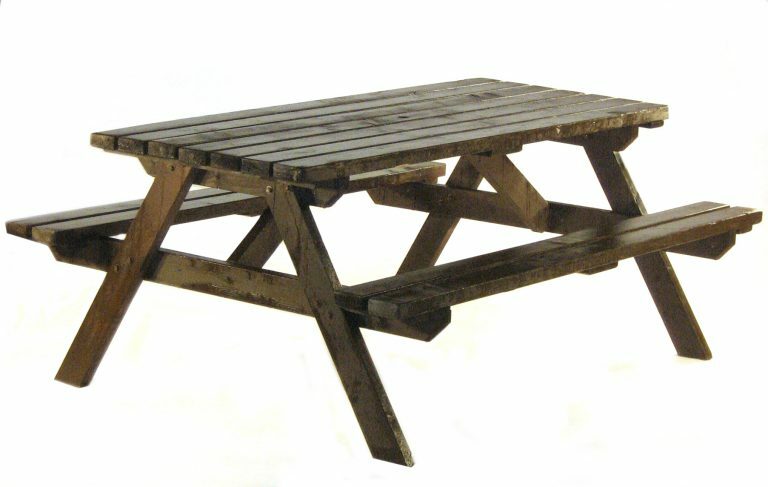 High quality very sturdy picnic bench suitable for use in the garden or in outdoor areas of pubs and country clubs etc. Each picnic table is designed to comfortably seat 6 people, 3 down each side. There is a 5 cms diameter hole in the middle to allow insertion of a parasol or umbrella. We make these ourselves and have 900 of these benches in stock.